A baby Sunda pangolin found orphaned has gone on to beat the odds stacked against him - by going on to thrive under the care of his new human parents. The scaly young mammal, part of an endangered species found in Asia, was saved last February by staff from Wildlife Reserves Singapore. By the time he was discovered, wandering all alone down a road, he was so starved that rescuers weren't sure at first if he would make it. But he turned out to be a true survivor. 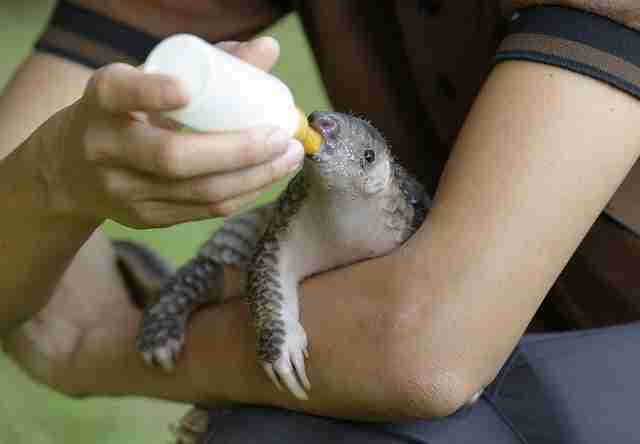 After initially having difficulty feeding, the little pangolin began to thrive and grow - clinging to his caretakers as he learned to feast on milk from a bottle. Since then he's nearly doubled in weight and begun to transition to solid food, namely pangolins' favorite dish: ant eggs. Cheng Wen-Haur, from Wildlife Reserves Singapore, says the orphan has defied the odds, offering a hope for the future of his threatened counterparts in the wild. 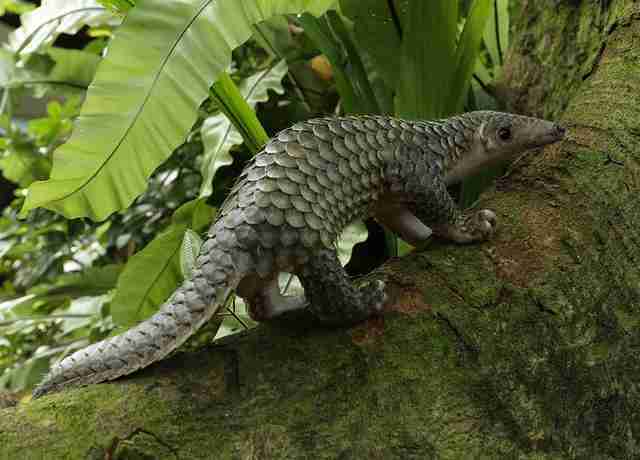 "Successfully raising a Sunda pangolin from such a young age is a real achievement," Wen-Haur said in a press release. "This critically endangered species has notoriously low survival rates under human care, and this experience has given us invaluable knowledge on how to care for the species." Here's some footage of the baby pangolin in action, taken at a wildlife park in Singapore where he's now being taught to fend for himself as an adult. Sadly, pangolins like this one are under threat from poaching across much of Asia, sought after for both their meat and their characteristic scales. Click here to learn more about these fascinating animals and to find out how you can help.